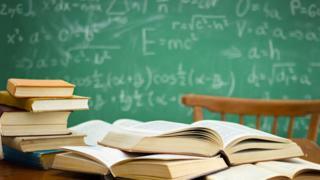 A lack of textbooks and other teaching resources could have a real impact on pupils' education, according to AMs. An education committee heard that qualification reform since 2015 has led to a tight timetable for the preparation of textbooks and materials. Teachers and pupils told the committee that this was increasing anxiety at exam time. The Welsh Government said it was committed to ensuring that resources are available in Welsh and English. Committee chairwoman Lynne Neagle said she was concerned about a lack of clarity over who is responsible for ensuring pupils have the learning resources they need. The report, titled 'The provision of textbooks and learning resources for pupils', said: "This lack of clarity may result in a failure to provide adequate resources and have a detrimental effect on pupils' learning." Over recent years, several problems associated with a lack of suitable resources for some A level and GCSE courses have been raised. Some A-level students were without religious studies textbooks in the run up to this summer's exams. The Committee's report quotes the inspectorate Estyn as reporting issues in A-level support material in "mathematics, religious education, history, French, English, computer science and physical education" and Welsh-medium GCSE resources in "physical education, music, problem solving in mathematics-numeracy, drama, French and Spanish". Concerns were also raised about how the new curriculum for Welsh schools could impact on resources, with the need for "a high volume" of material to be revised or new resources produced. Particular problems were highlighted about the availability of Welsh-language textbooks with teachers often translating materials themselves. The report said this was "taking up precious time, duplicating work by other teachers and other schools and could lead to inconsistencies in translation". Last year the Welsh Government announced there would be £500,000 available in 2018/19 for Welsh-language education resources, as part of the budget deal with Plaid Cymru. The report also said that digital materials can be an effective method for some pupils' learning but it was concerned that a lack of broadband coverage could impact on the ability to access those resources. A Welsh Government spokeswoman said a group had been set up to look into the "future provision of timely, bilingual resources".